Recombinant full length protein corresponding to Human Dysbindin. Our Abpromise guarantee covers the use of ab175084 in the following tested applications. WB 1/500 - 1/2000. Predicted molecular weight: 39 kDa. 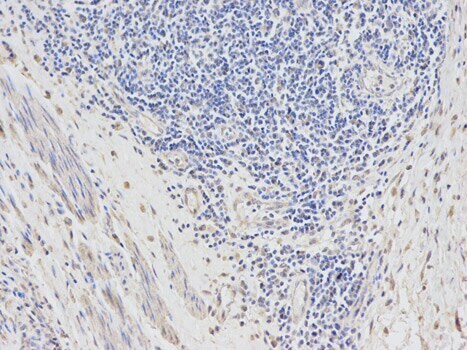 Immunohistochemistry (Formalin/PFA-fixed paraffin-embedded sections) analysis of human esophageal cancer tissue labelling Dysbindin with ab175084 at 1/100. Magnification: 200x. 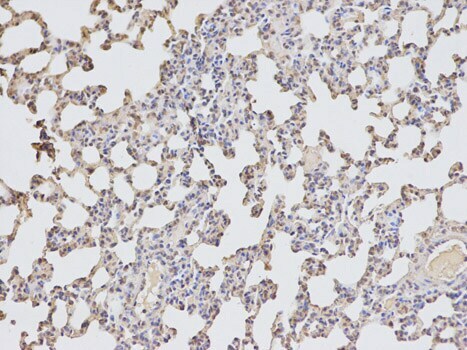 Immunohistochemistry (Formalin/PFA-fixed paraffin-embedded sections) analysis of rat lung tissue labelling Dysbindin with ab175084 at 1/100. Magnification: 200x. 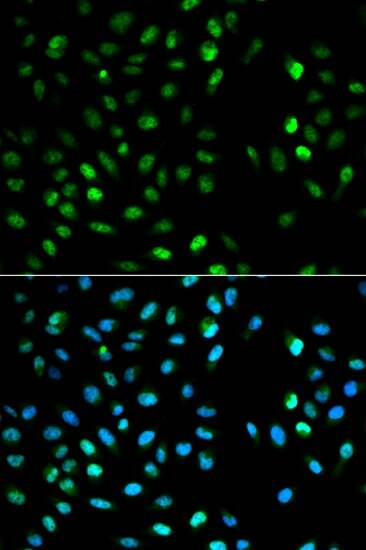 Immunocytochemistry/Immunofluorescence analysis of MCF7 cells using ab175084. Blue DAPI for nuclear staining. ab175084 has not yet been referenced specifically in any publications. Publishing research using ab175084? Please let us know so that we can cite the reference in this datasheet. There are currently no Customer reviews or Questions for ab175084.